Sunbury Professional Landscaping was founded by Brad Pietromonaco in January 1997 after he completed his Turf Management apprenticeship at Cranbourne Golf Club and Victoria Golf Club. 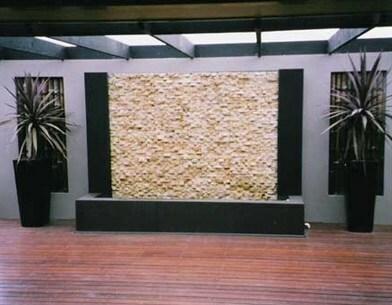 Sunbury Professional Landscaping has been a member of Landscaping Victoria since 2006. From humble beginnings, Brad now employs a small team of qualified landscapers and labourers. He makes sure they all work to achieve the high standard of work that both he and his customer's expect. Sunbury Professional Landscaping services all landscaping aspects such as, turf, irrigation, paving, decking, plantings, bobcat/excavator/tipper work, concreteing, fencing, retaining walls, synthetic turf, ovals and tennis courts. Brad has made such an impression in the industry that he often performs contract work at some of Melbourne's top sports venues such as the MCG and Docklands Stadium. He has also flown his crew to Sydney to work at Stadium Australia and the professional highlight for him and his team was flying to Dubai to perform turf management at a new sports stadium. Sunbury Professional Landscaping has been contracting its services for all landscaping aspects to Metricon, Australand Builders, Hg Turf, Multiplex Brookfield (show grounds) and plenty more companies for the last 10 years. Sunbury Professional Landscaping also services all domestic and commercial Landscaping.